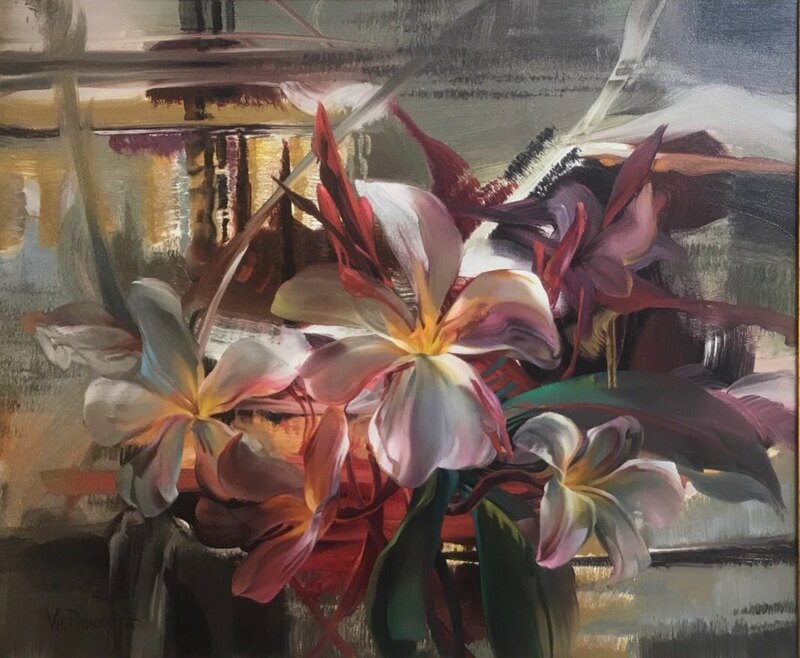 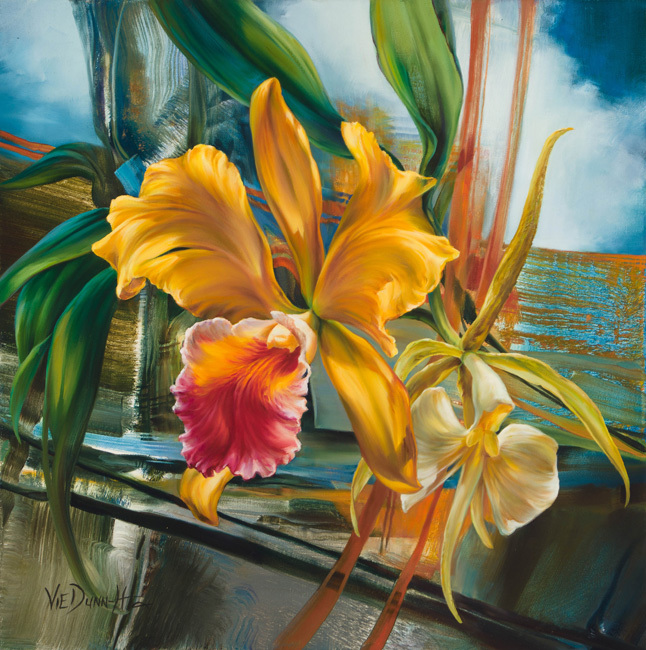 Vie Dunn-Harr | A Burst of Silence | Original Oil Painting on Canvas | 30" X 15"
Key West Gallery will beat all authorized dealer's pricing. 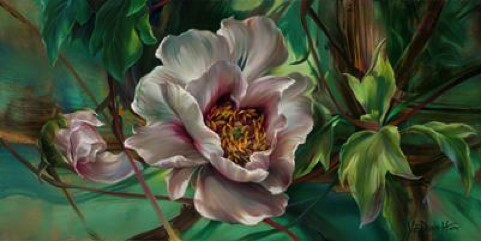 We pack, ship, and insure most artwork complimentary within the USA with international shipping available. 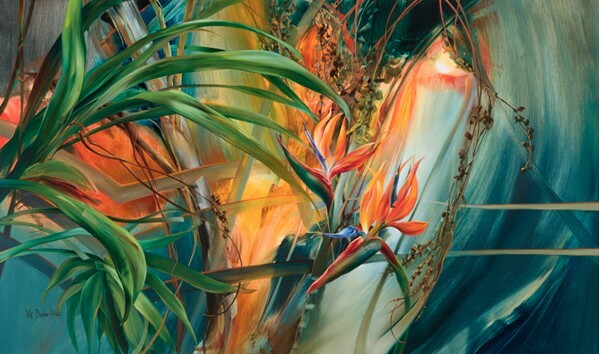 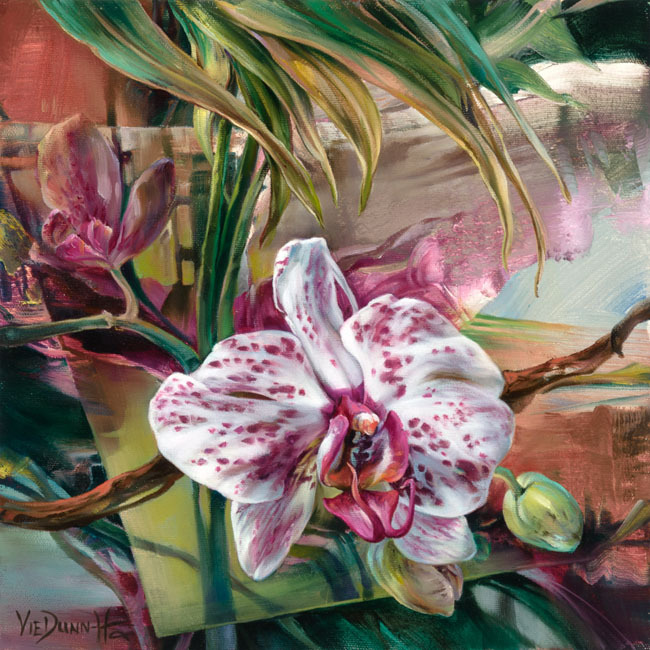 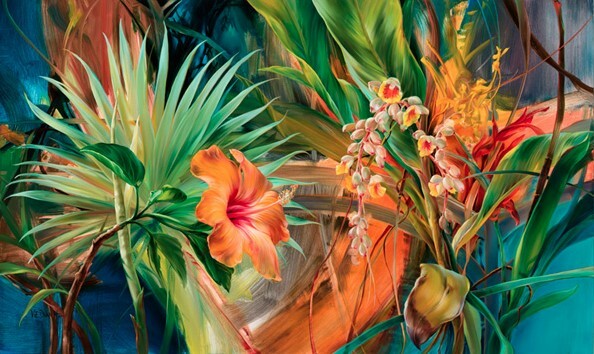 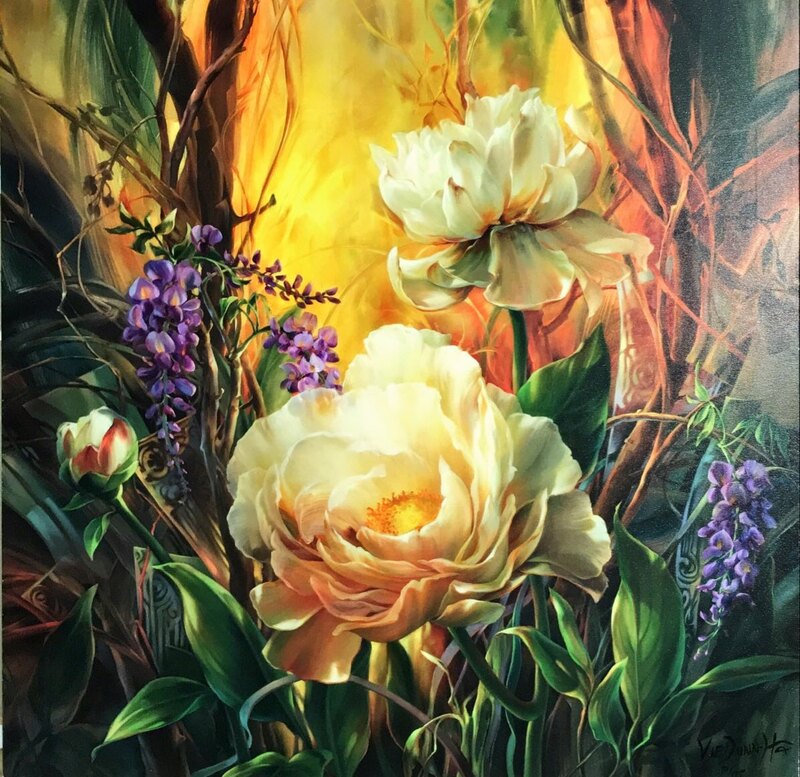 Vie Dunn-Harr | Garden of the Visage | Limited Edition Giclee on Canvas | 30" X 30"
Vie Dunn-Harr | Island Tapestry | Original Oil on Canvas | 20" X 24"
Vie Dunn-Harr | Melodious Tones | Signed and Numbered Limited Edition Giclee on Canvas | 40" X 20"
Vie Dunn-Harr | Original Painting | Original Watercolor on Paper | 20" X 8.5"
Vie Dunn-Harr | A Burst of Silence | Signed and Numbered Limited Edition Giclee on Canvas | 30" X 15"
Vie Dunn-Harr | Consider the Lillies | Signed and Numbered Limite Edition Giclee on Canvas | 40" X 20"
Vie Dunn-Harr | Crimson and Coy | Original Oil Painting on Canvas | 36" X 12"
Vie Dunn-Harr | Enamored with Ginger | Original Oil Painting on Canvas | 20" X 20"
Vie Dunn-Harr | Final Curtain | Original Oil Painting on Canvas | 36" X 12"
Vie Dunn-Harr | Island Diva | Original Oil Painting on Canvas | 12" X 12"
Vie Dunn-Harr | Island News | Signed and Numbered Limited Edition Giclee on Canvas | 30" X 13"
Vie Dunn-Harr | Jardin Vert | Original Oil Painting on Canvas | 12" X 24"
Vie Dunn-Harr | King's Visit | Original Oil on Canvas | 20" X 20"
Vie Dunn-Harr | Legacy of Camarena | Signed and Numbered Limited Edition Giclee on Canvas | 40" X 20"
Vie Dunn-Harr | Pacific Pageantry | Original Oil Painting on Canvas | 20" X 24"
Vie Dunn-Harr | Pendulant Beauties | Original Oil Painting on Canvas | 20" X 20"
Vie Dunn-Harr | Rising Up | Signed and Numbered Limited Edition Giclee on Canvas | 24" X 24"
Vie Dunn-Harr | Rose of Toblach | Signed and Numbered Limited Edition Giclee on Canvas | 36" X 12"
Vie Dunn-Harr | Soaring | Original Oil Painting on Canvas | 12" X 36"
Vie Dunn-Harr | Tropical Parlor Diptych | Signed and Numbered Limited Edition Giclee on Canvas | 24" X 80"
Vie Dunn-Harr | Tropical Parlor I | Signed and Numbered Limited Edition Giclee on Canvas | 30" X 50"
Vie Dunn-Harr | Tropical Parlor II | Signed and Numbered Limited Edition Giclee on Canvas | 30" X 50"
works are organic forms rooted in architectural elements. 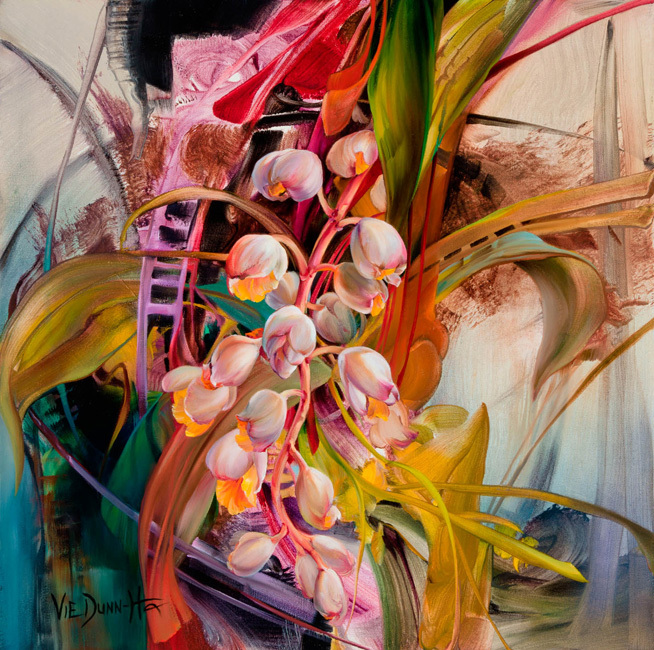 The forms are sensuous and portray the force and fragility of nature. 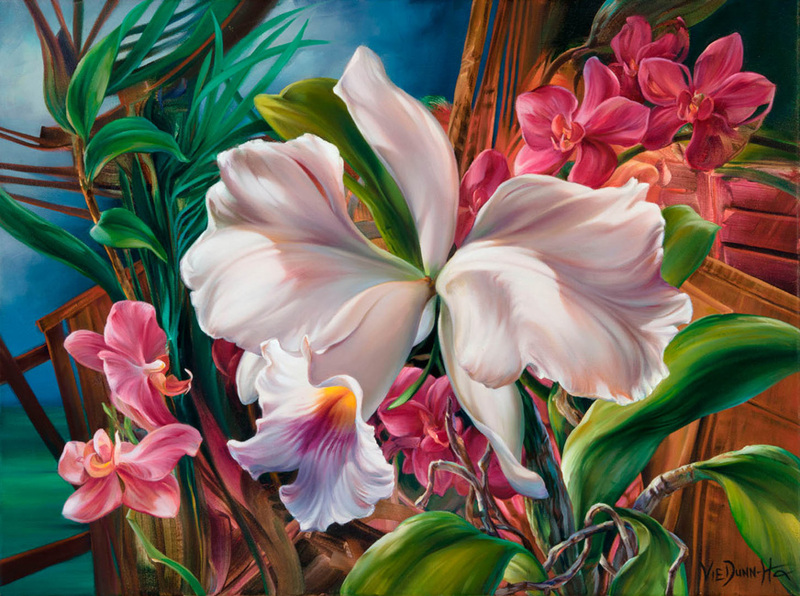 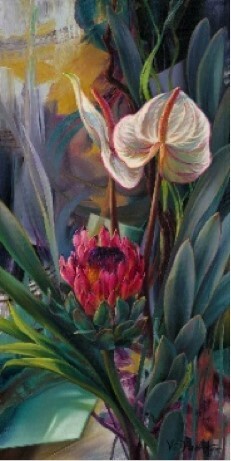 Dunn-Harr considers herself a contemporary realist and has exhibited in the USA, Europe and Mexico. 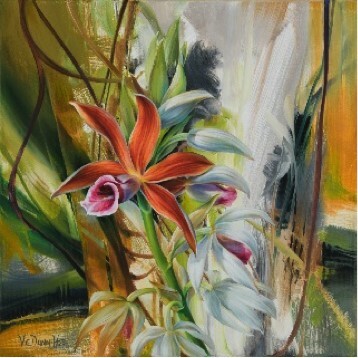 "My works are a reflection of all that I see and those I know. 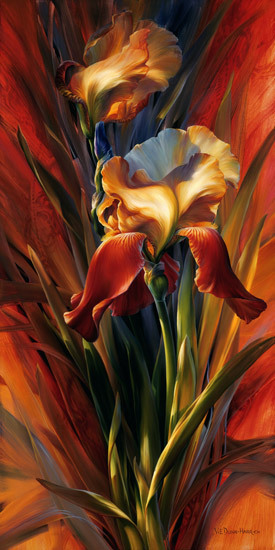 I have observed that a flower, like a woman, is a delicate creation. 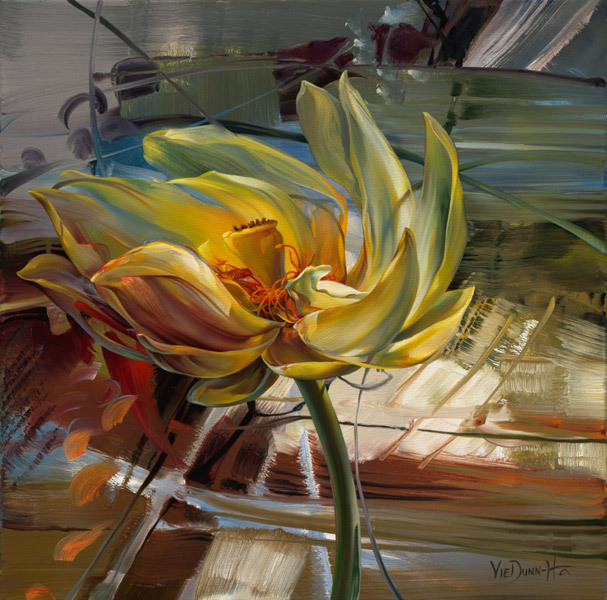 Yet they each have strengths that enable them to prevail over adversity".